Hyderabad's Biryani Legend, Paradise Restaurant, Is Opening In Gurgaon! 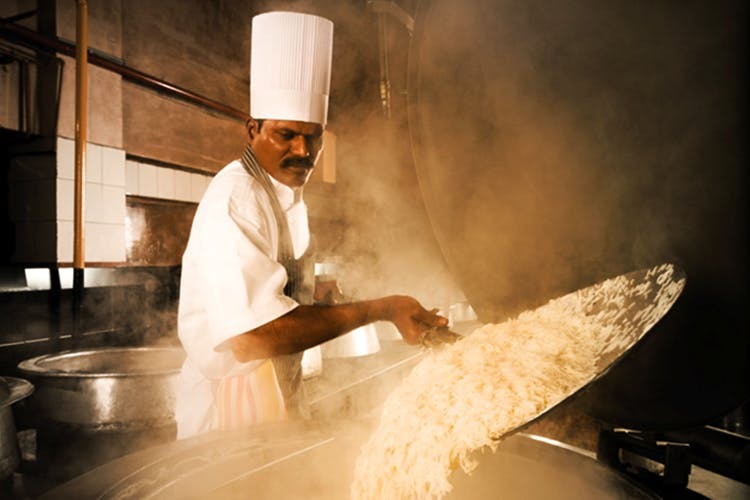 Hyderabad’s famous biryani joint, Paradise is an essential pitstop for any foodie who visits the city. The Biryani capital of the country is sharing some of its magic with us and we couldn’t be more excited. It is known for its Hyderabadi Biryani, Mutton Biryani, Kebabs and Double ka Meetha. Gurgaon locals are happy they will no longer have to lug multiple boxes across airports, carrying delicious biryani for relatives. Anticipating the saffron-scented rice and soft kalmi kebabs, we are drooling already. Paradise will be opening at Raheja Mall on Sohna Road. Watch this space for more updates. Paradise Restaurant Is Finally Open & 9 Different Kinds Of Biryani Are On The Menu!